It's been a long, strange trip, but even seen-it-all Deadheads may not have expected the Commodores lyrics: "Shake it down, shake it down now!" 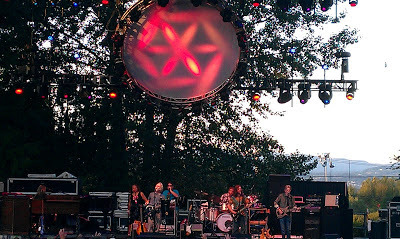 Sung by the Furthur collective during a punchy, bass-propelled "Shakedown Street," it was a fun, whimsical moment that set the upward mood and energy level for this second of the band's three nights at the rustic McMenamin's Edgefield amphitheater. An easy observation to be made about the Grateful Dead scene 17 years after the death of its talisman Jerry Garcia is that it's smaller—fractionalized by attrition and time. The Deadheads of 2012 are still loyal, though, and the environment to witness Dead music played by any of its original members is a much more user-friendly, enjoyable experience than battling the stadium-sized multitudes of the 80s and 90s. 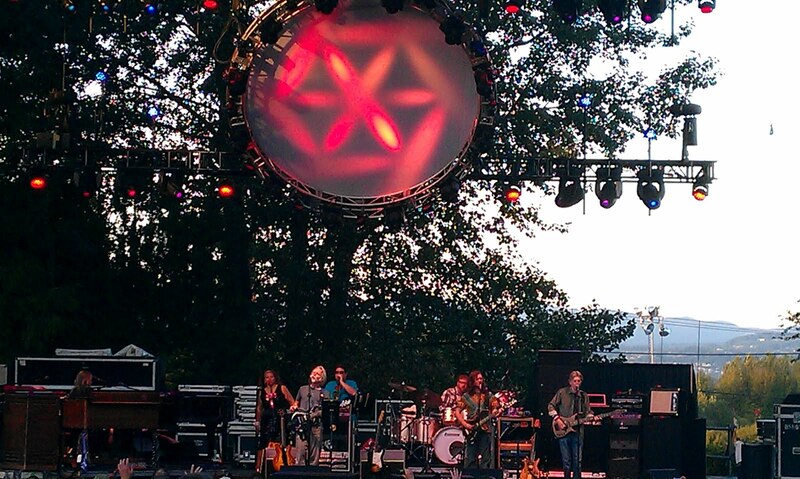 That positive condition was only enhanced at the Edgefield over these two nights with clear sound, balmy temperatures, and a woodsy outdoor setting ideally suited for Furthur's spirited romp through one of rock n' roll's deepest catalogues. Furthur, founded in 2009 by singer-guitarist Bob Weir and bassist Phil Lesh of the Grateful Dead, is given a welcome jolt of Garcia-esque lead guitar and vocal energy by John Kadlecik, formerly of Dead tribute band Dark Star Orchestra. (Also rounding out the band are drummer Joe Russo, keyboardist Jeff Chimenti and backing singers Sunshine Becker and Jeff Pehrson.) 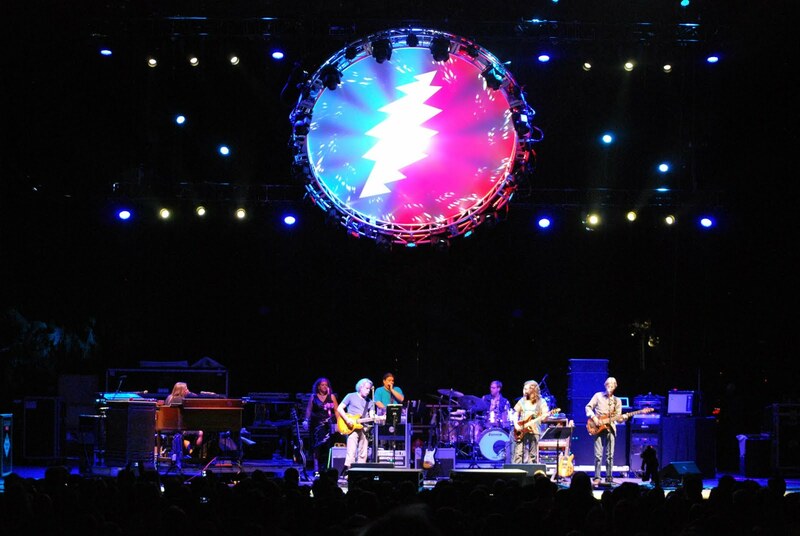 Where erstwhile post-Garcia projects have vacillated between rewarding (The Other Ones) and conceptually off (gritty Southern rocker Warren Haynes filling the Garcia spot), Furthur is consistently rewarding, offering up a leaner, meaner version of the two-set extravaganzas the original band knocked out for decades. Where there was once improvisational bloat, there is now economy and briefer, percolating jams; where there was once the psychedelic, two-man "Drums/Space," there is now simply one virtuoso drummer. What hasn't changed is Lesh's booming bottom end and Weir's eccentric yet compelling rhythm guitar and voice. Friday, September 28 ignited in the first half of Set 1 with the singalong "Jack Straw" and a flowing, harmony-laden "Crazy Fingers," and then the fire dampened a bit with Weir's lonesome-me ballad "Looks Like Rain." However, the best one-two punch of these two nights came next with an unexpectedly strong "Doin' that Rag" and a spry cover of The Rolling Stones' "Satisfaction," complete with Weir mugging and acting out the distress of the lyrics with wild hand gestures. It seemed they were just getting started, and yet Set 2 never quite reached the peaks of Set 1. Although it featured "Viola Lee Blues" with a hypnotic jam, and a forceful "Let It Grow" (which wound down nicely with descending notes evoking a feather floating to the ground), a reading of "The Wheel" felt a bit perfunctory. Thankfully Kaclecik invested some Garcia mojo into the heartfelt "Comes a Time," while Russo's polyrhythmic drumming was remarkable during "Slipknot." Saturday's show got off on the right foot energy-wise with the "I'm outta here" kiss-off "Mississippi Half-Step Uptown Toodleloo" and a rocking "I Need A Miracle," two audience favorites. Covers were then the order of the night, as Johnny Cash's "Big River" was a rollicking treat, followed by Lesh howling out Bob Dylan's "Just Like Tom Thumb's Blues." And while it is customary for "One More Saturday Night" to be held as an encore on this day of the week, the president-referencing barnburner was saved for the last number of the first set, preceded by the more outwardly political "Throwing Stones," spiked with the timely lyrics "The radical, he rant and rage/Singing someone got to turn the page/And the rich man in his summer home/Singing just leave well enough alone..." It must be an election year. After unfurling "Scarlet Begonias" and "Fire On the Mountain," Set 2 continued the evening's theme of pure musical joy and farewells, with "Playin' in the Band" and "Uncle John's Band" topped off by "Goin' Down the Road Feeling Bad." Finally, Furthur brought the three-night run in for a soft landing with the a cappella benediction of "And We Bid You Goodnight" as well as the delicate "Attics of My Life." By then, the kids had shook it down, and the current generation of Deadheads streamed happily into the night.